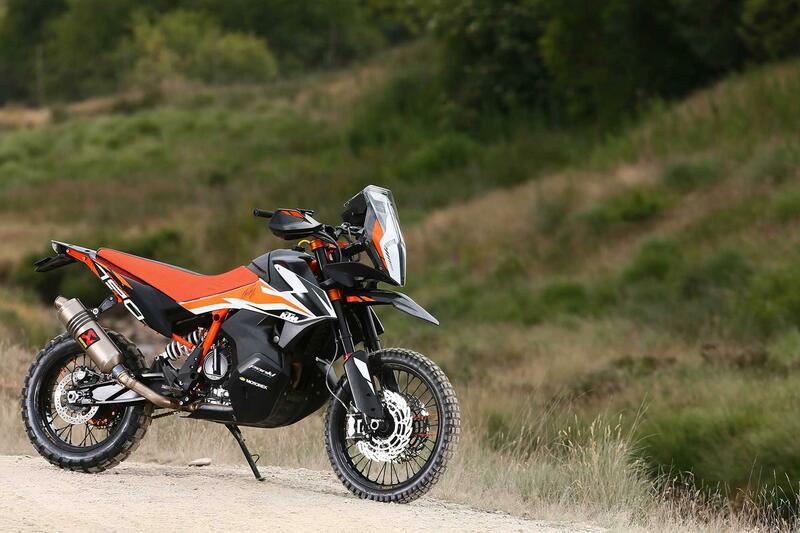 KTM’s new 790 Adventure R has been looking like the hottest bike of 2019 for a little while now. 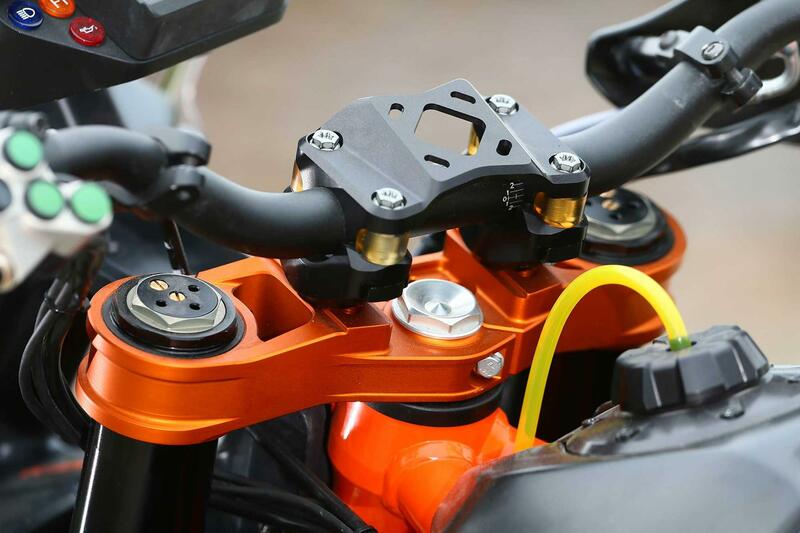 In short they’ve paired a retuned engine from the KTM 790 Duke with an adventure bike chassis and long-travel, fully-adjustable suspension. 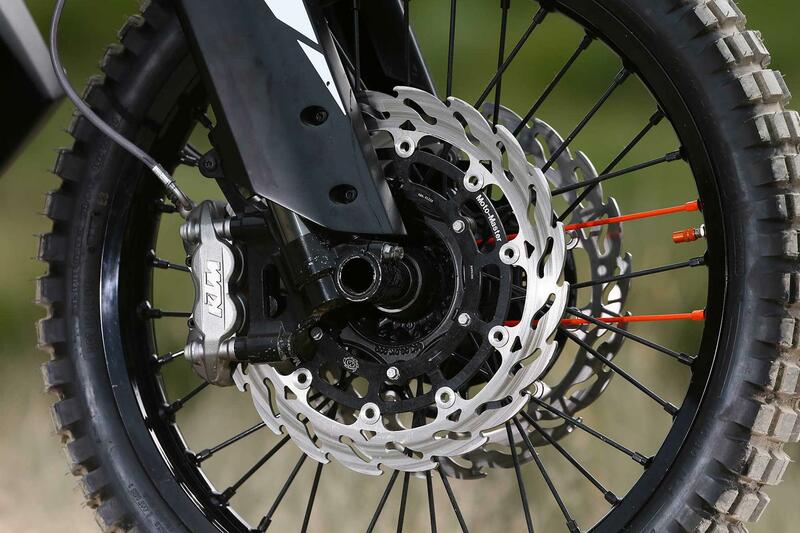 Combine all that with a world class electronics package and you’ve got some serious potential. 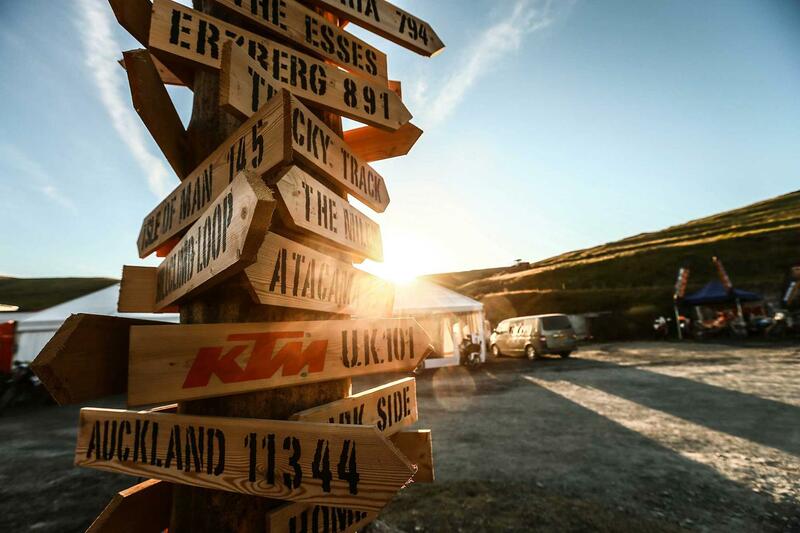 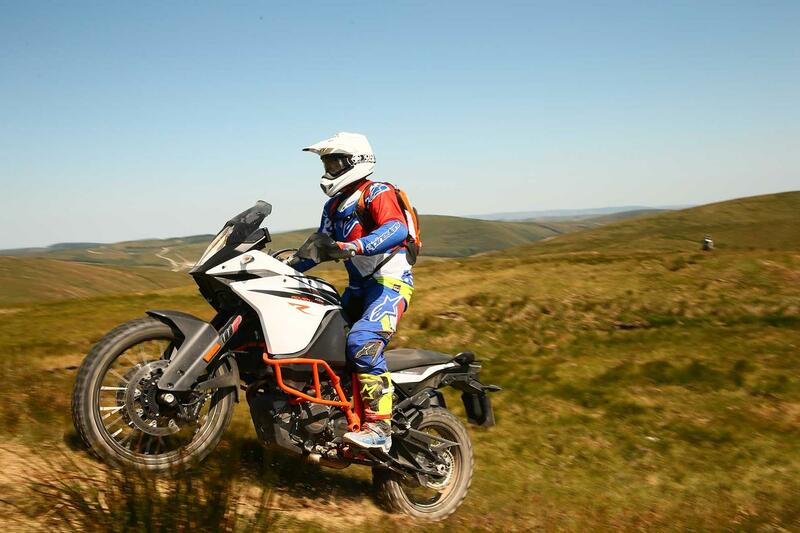 We spoke to development rider Chris Birch at KTM’s Welsh Adventure Rally and he gave us the inside line on what it’s actually like to ride. 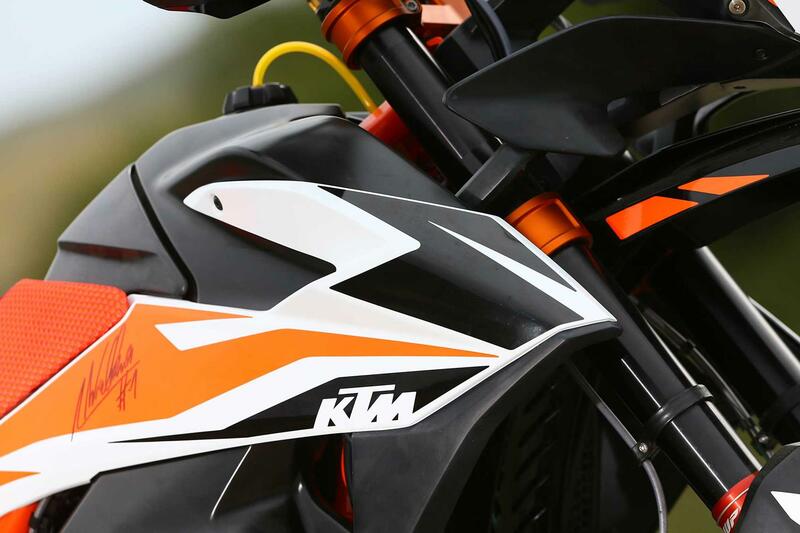 Q: How does it differ from the competition? 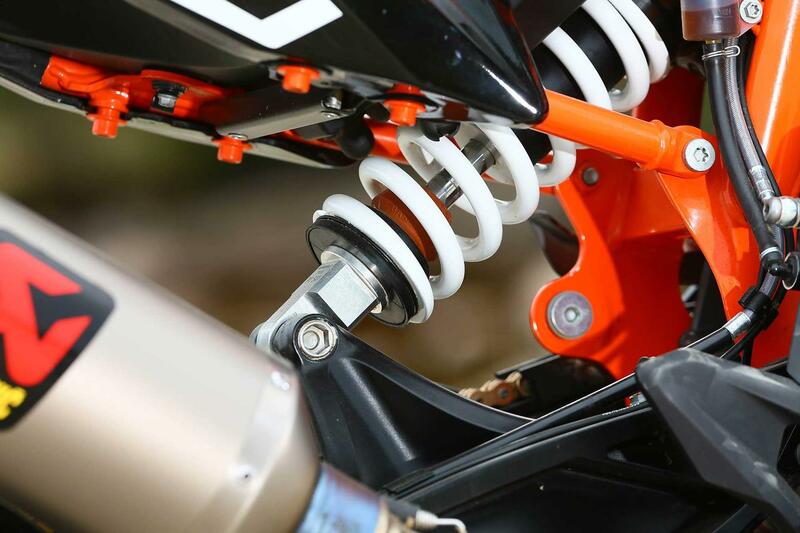 A: With the engine being so small and narrow, we can have the fuel low without it being excessively wide. 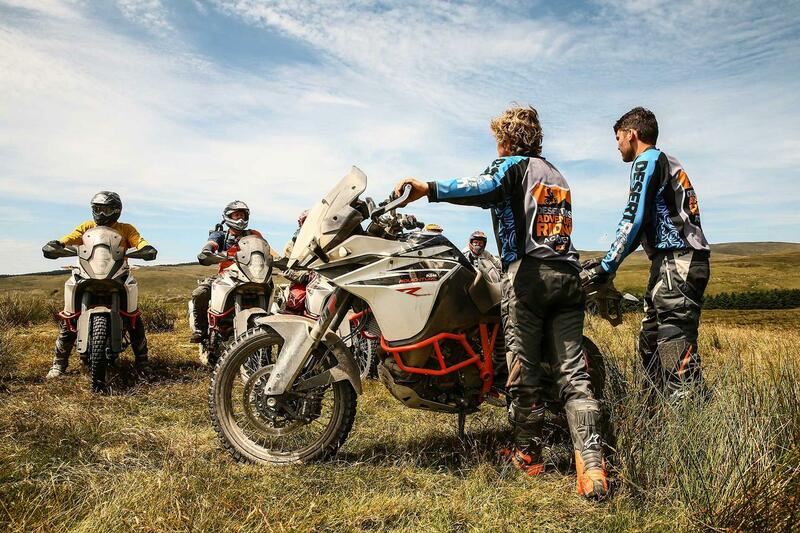 With competitor's bikes, their engine is too wide, they can’t do what we’ve done otherwise it would be four foot wide. 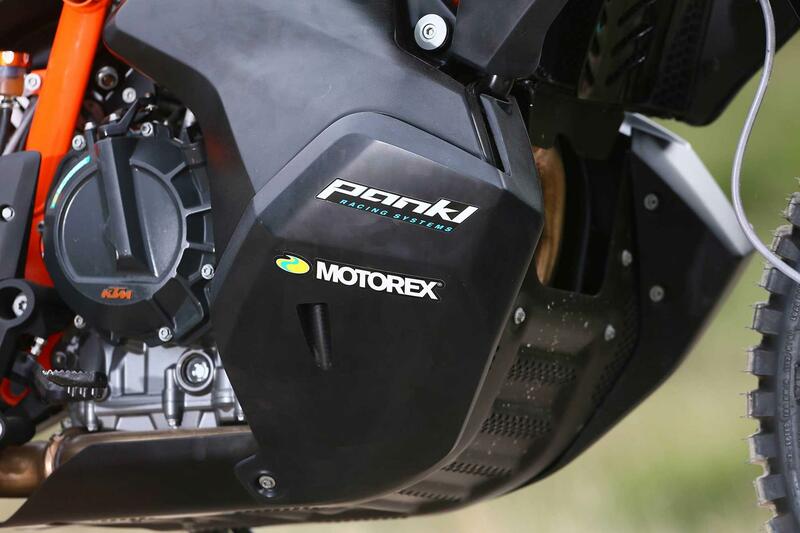 Q: How does it compare to the 1090R? 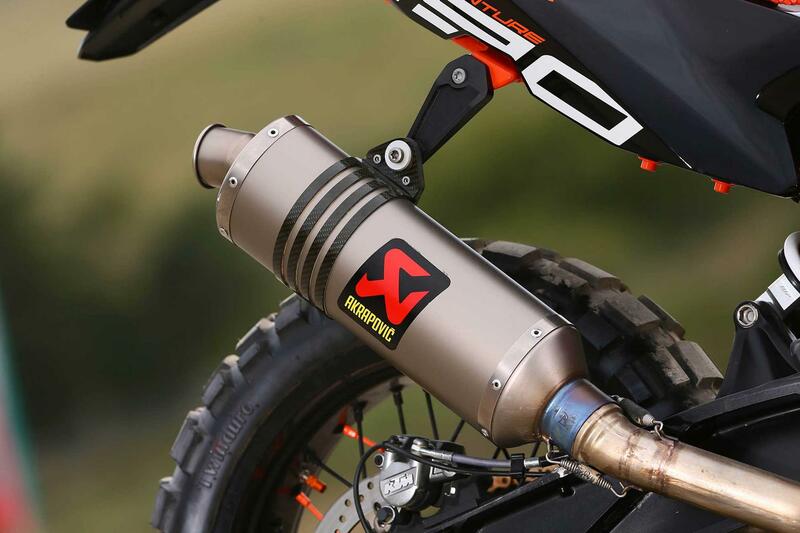 A: As it’s a smaller engine and doesn’t have the ultra-low low end grunt as the 1090. 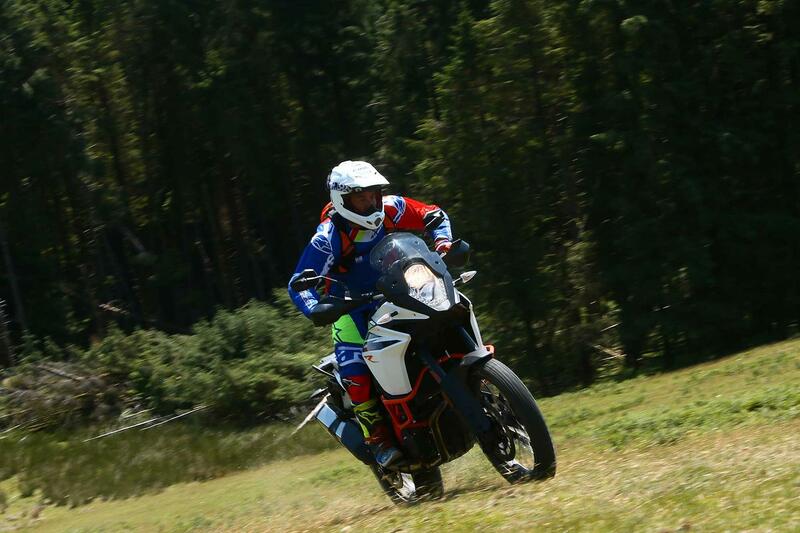 In second gear, the 1090 can pull you through stuff, but the 790 doesn’t have the really low pull. 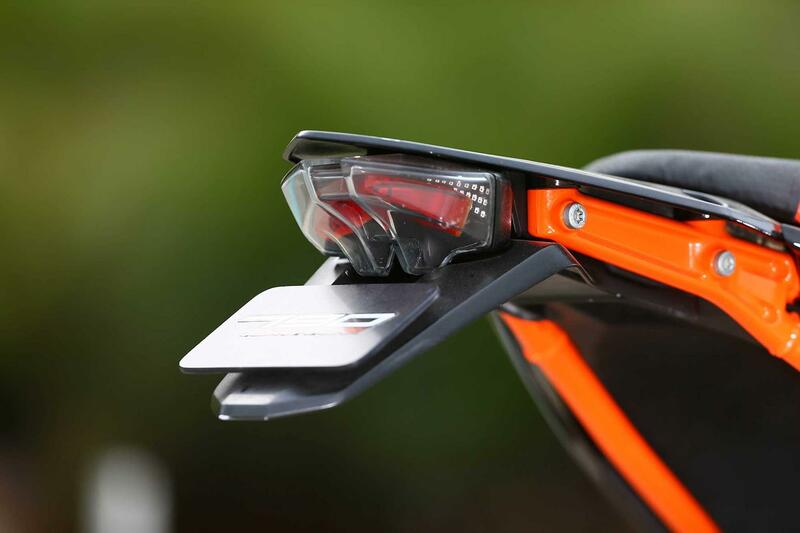 It doesn’t compete with the 1090R, it doesn’t replace any of the models - it just allows you to have a more focused choice. 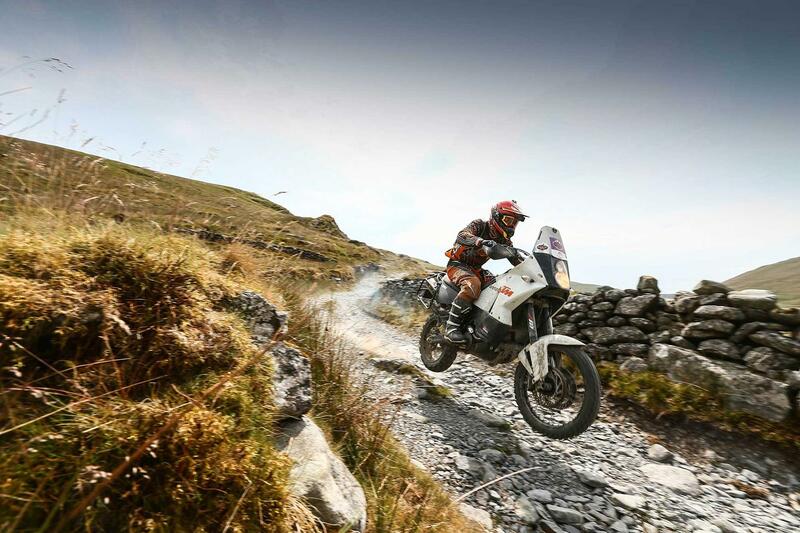 You need to ask yourself ‘what do you want the bike to do’. 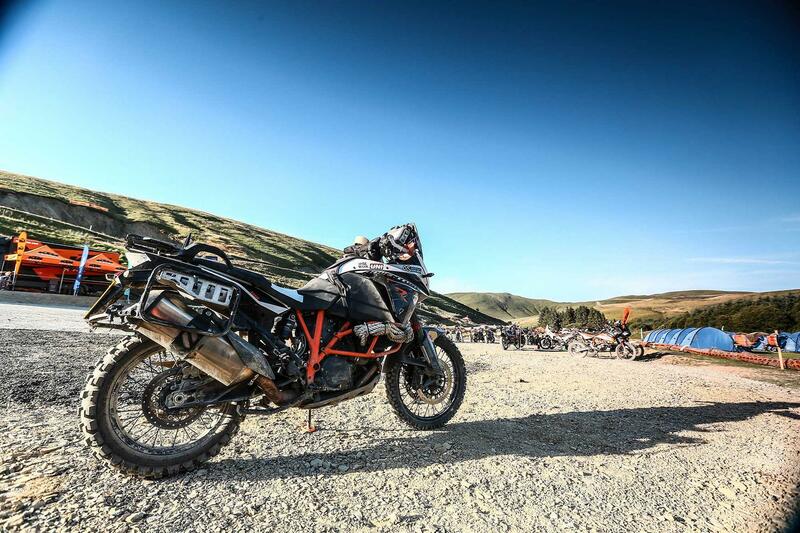 If I want to do big miles, with your partner on the back, then I'd choose the 1090 or 1290, if I just want to smash it up with mates then maybe the 790. 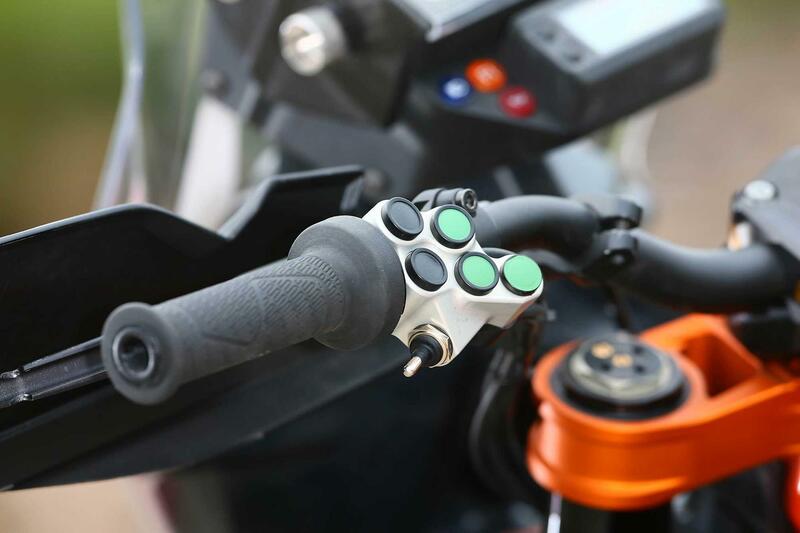 Q: What range do the fuel tanks give? 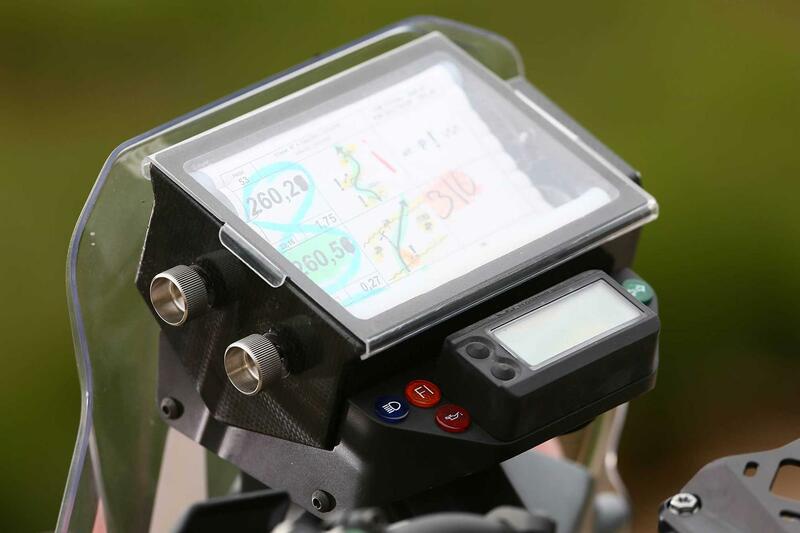 A: Looking at an easy 350km range and more. 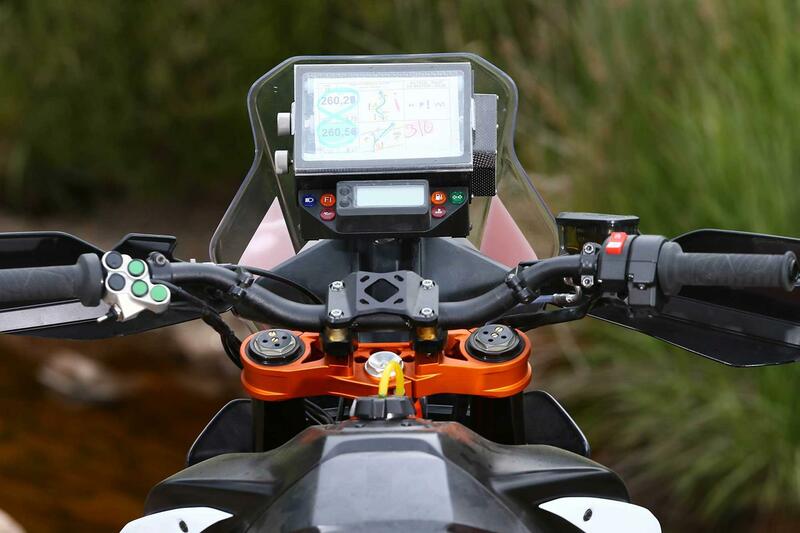 The fuel tank is one big single fuel cell, not like the 990 which had one hanging off each side. 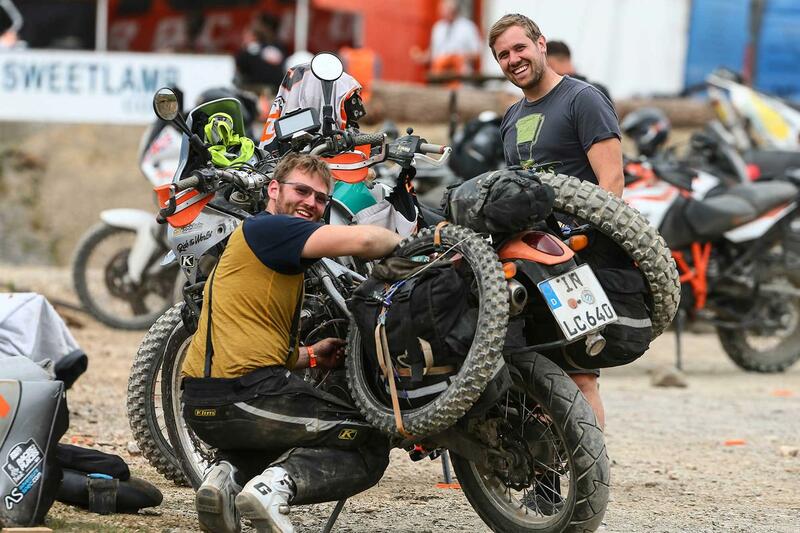 We are trying to get the weight as low as possible…There obviously is some difference, but the majority of the fuel is held low, so it doesn’t feel vastly different. 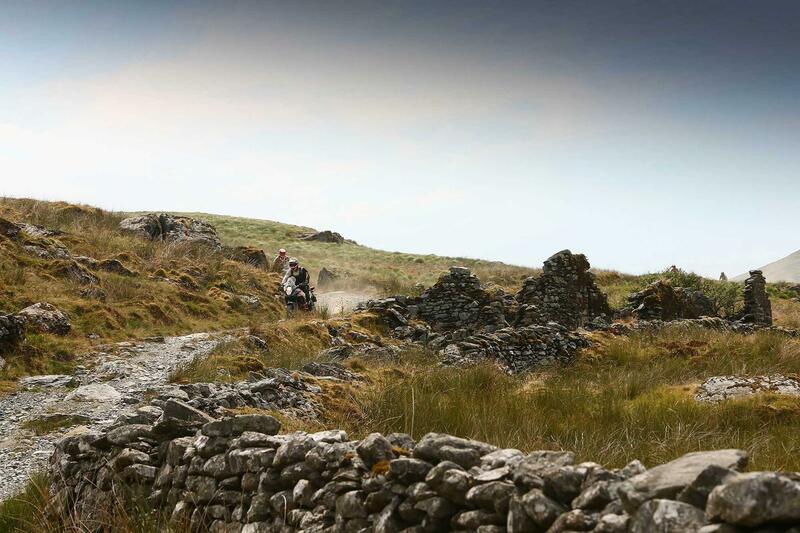 Q: Does that make it wider? 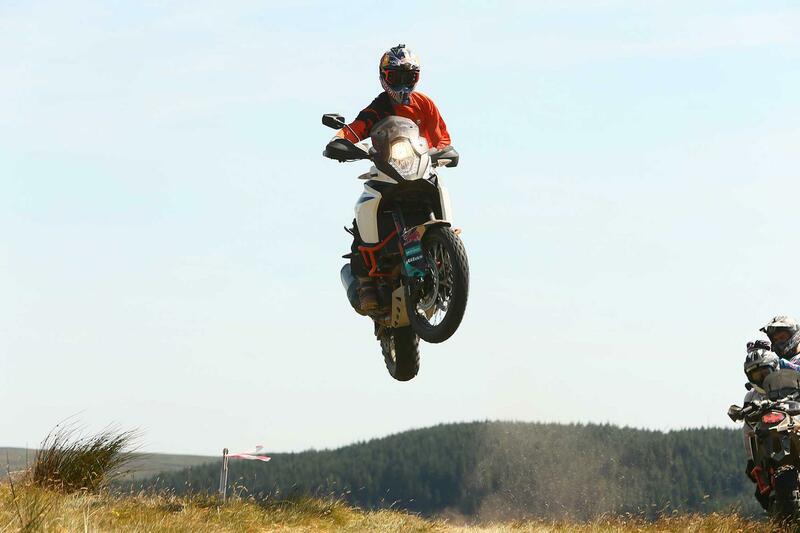 A: If you measured across your feet then I’d guess it’s a fraction wider on the 790. 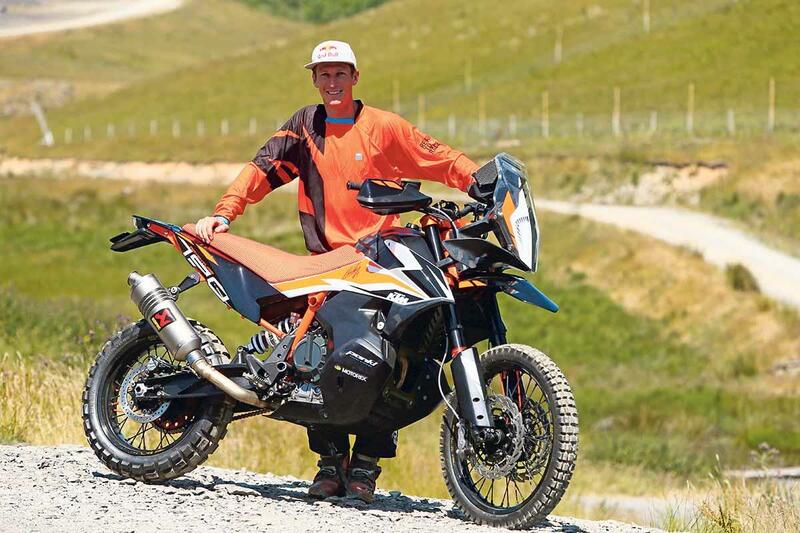 When you look at it, you think the fuel tank will hit everything, but you really don’t. 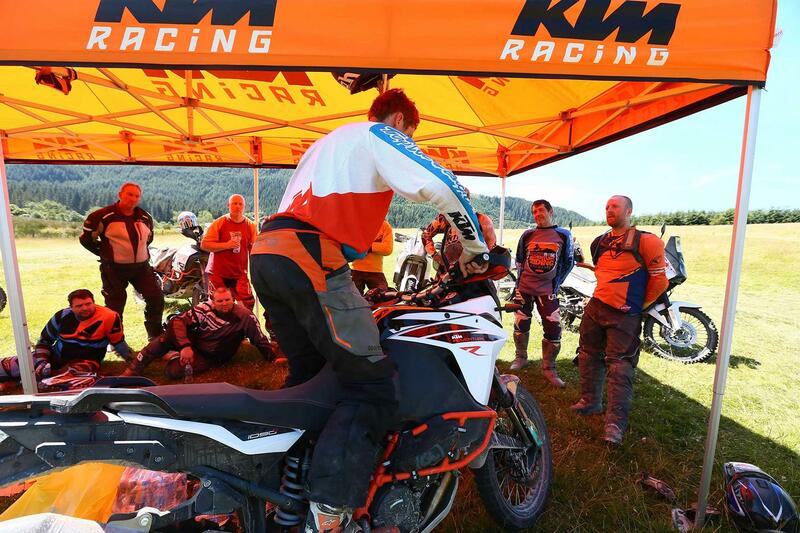 Q: How is it for shorter riders? 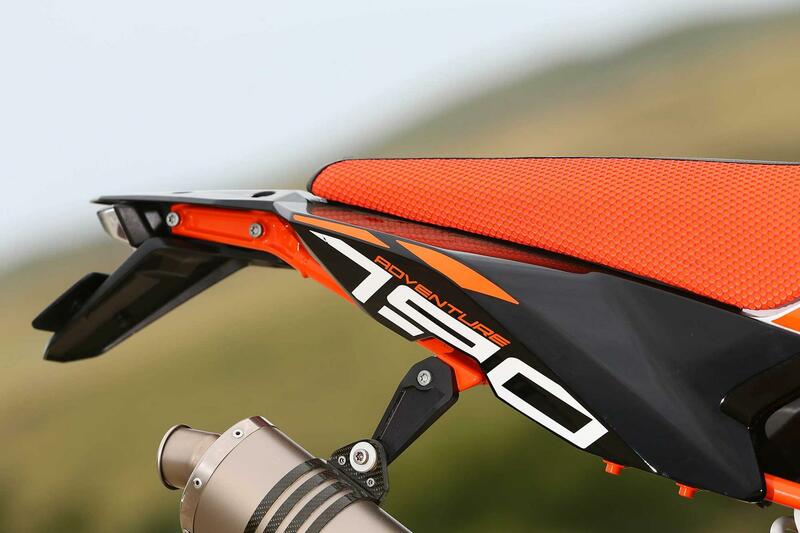 A: The seat height is a lot lower on the 790 compared to the 1090. 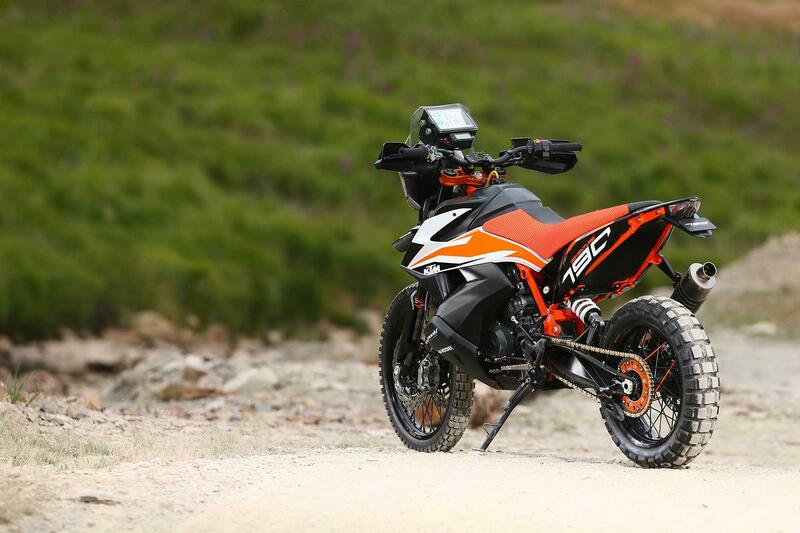 Again, that comes down to the size of the engine… Ground clearance is similar to the 1090, I’m not sumping it out in testing, but the seat height is considerably lower. 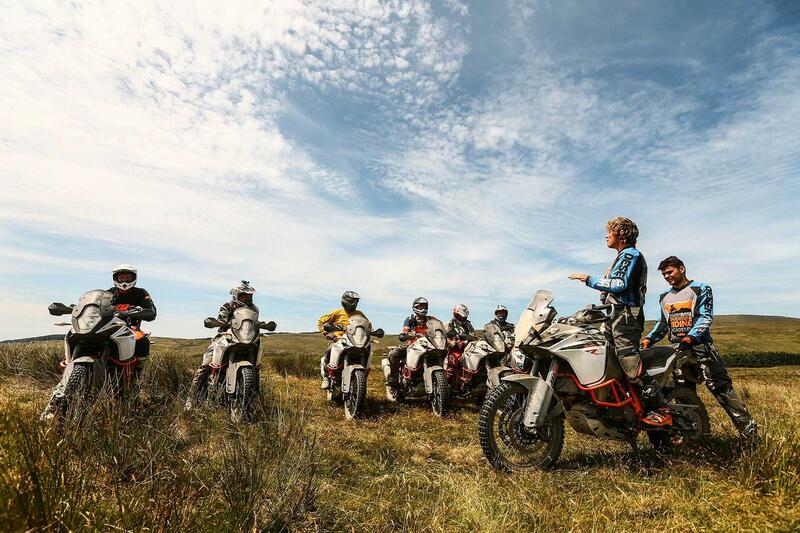 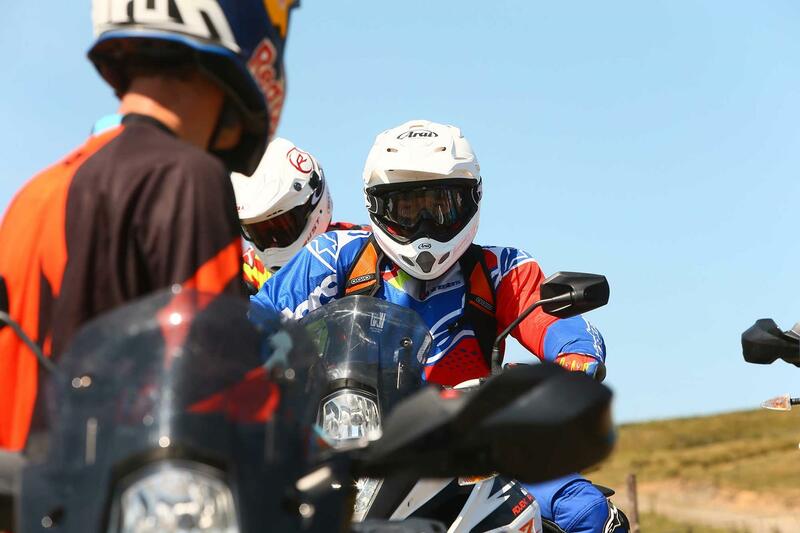 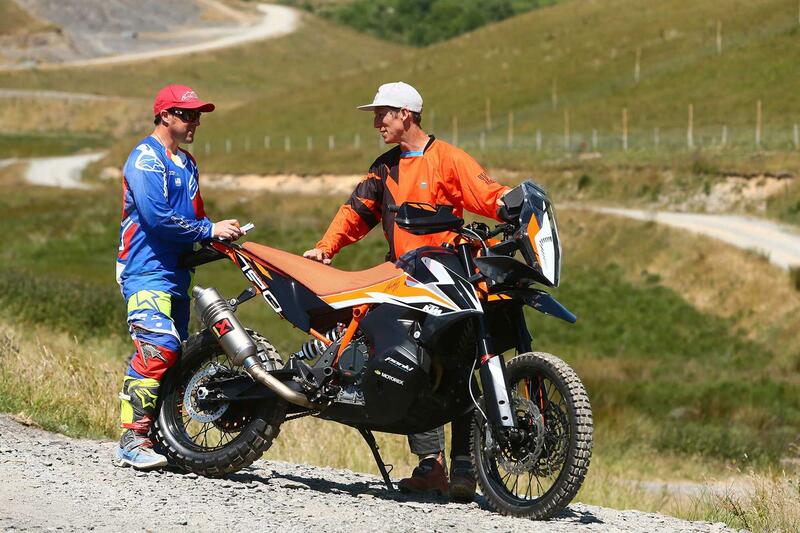 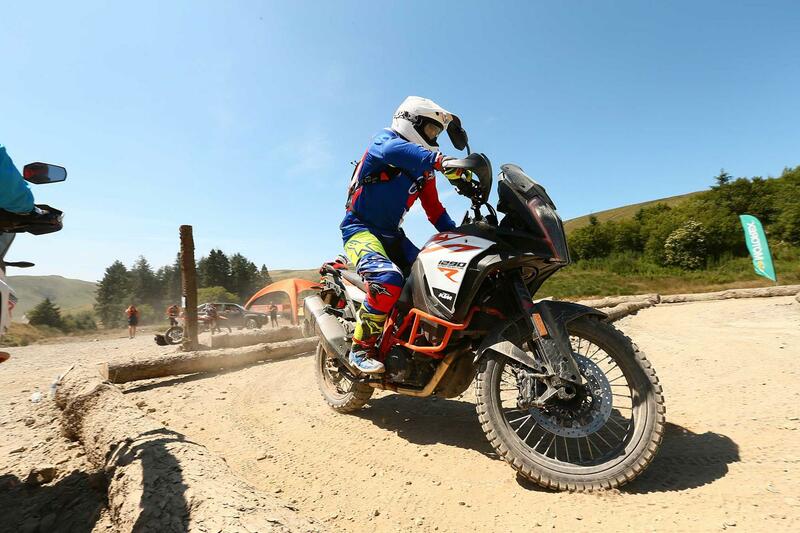 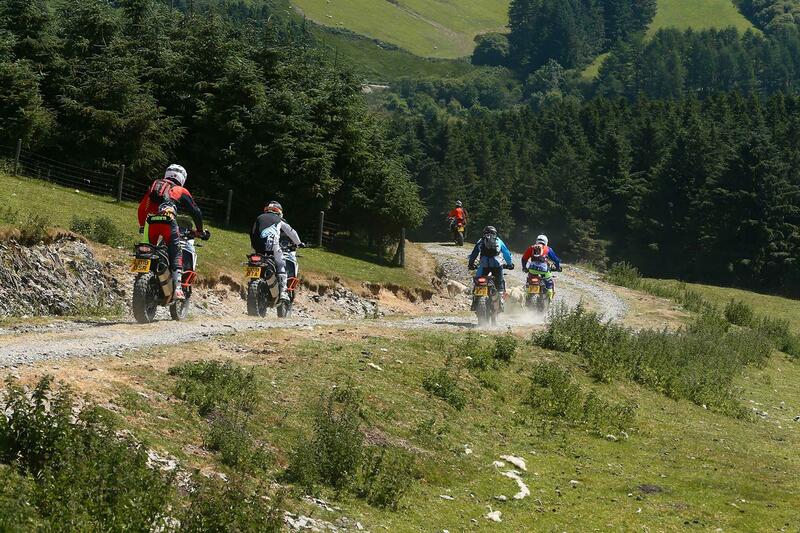 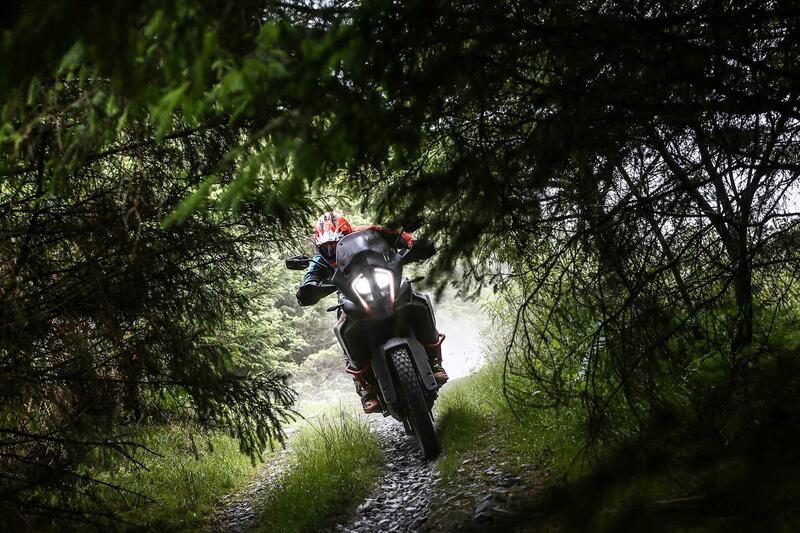 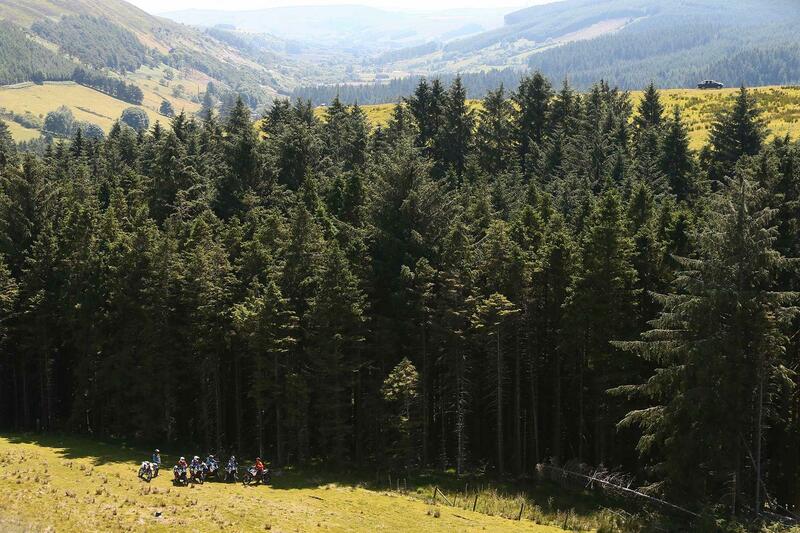 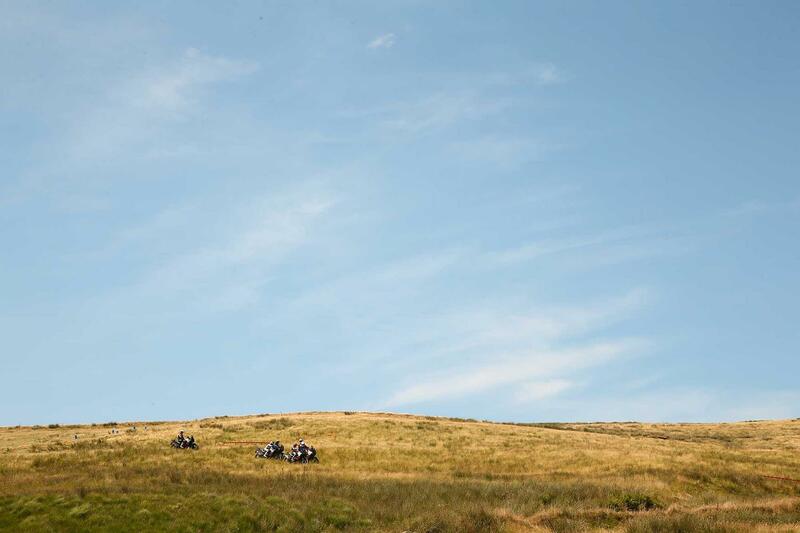 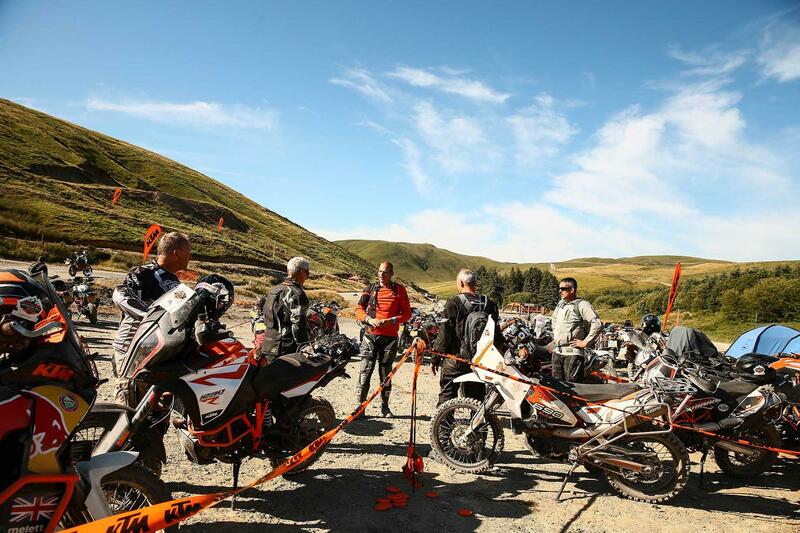 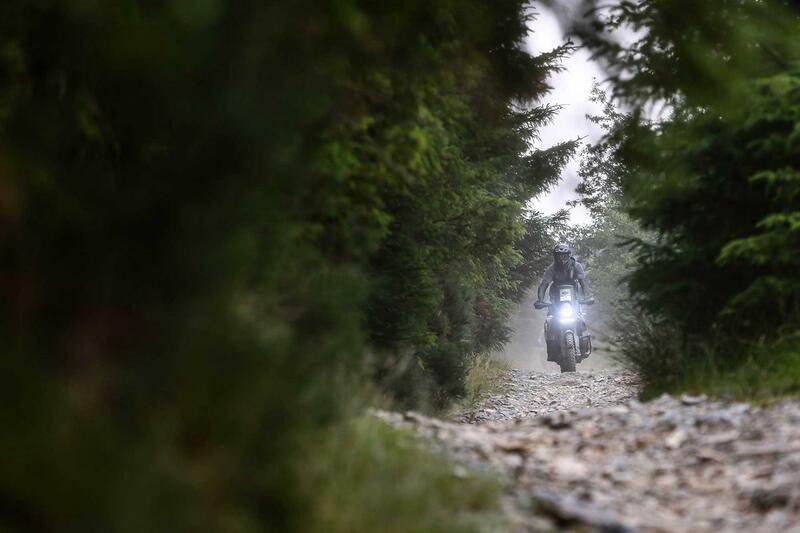 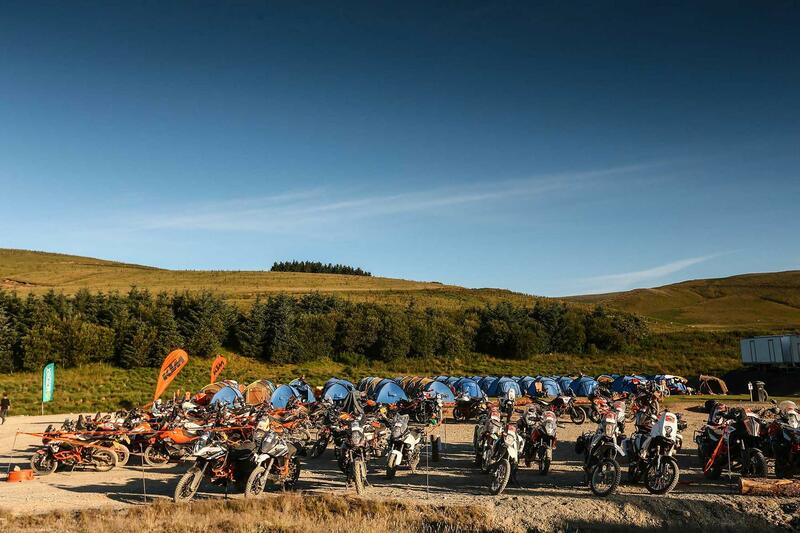 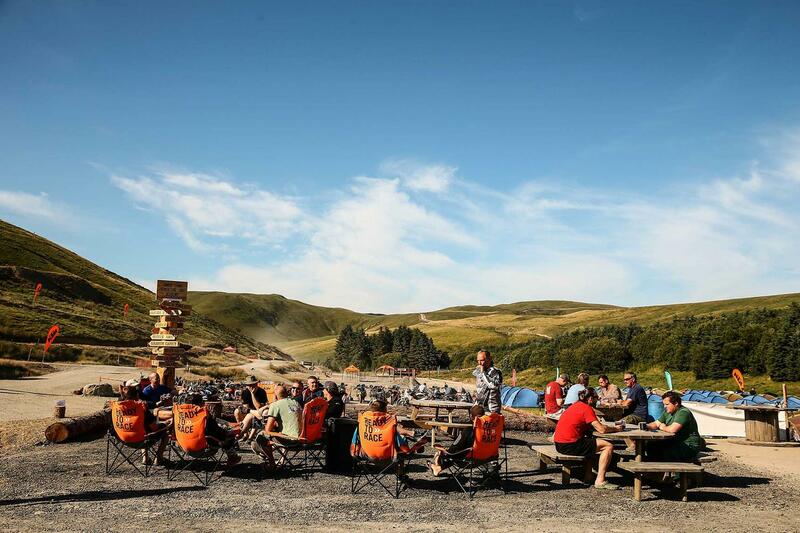 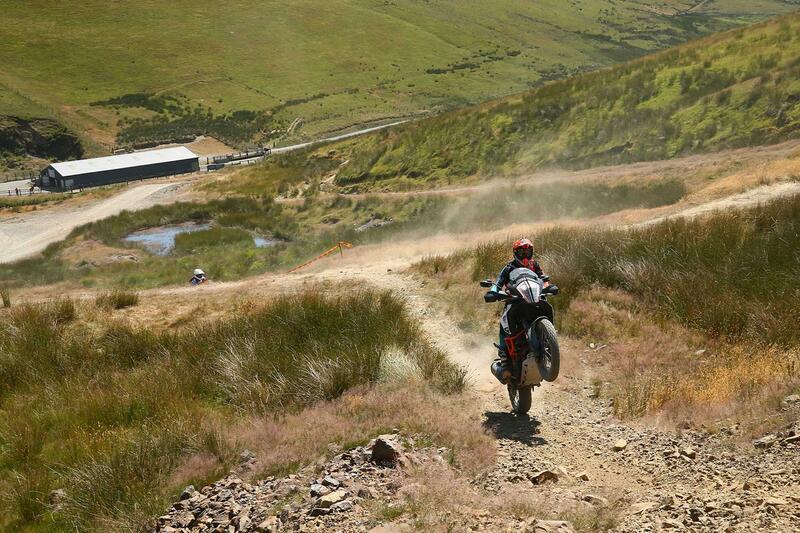 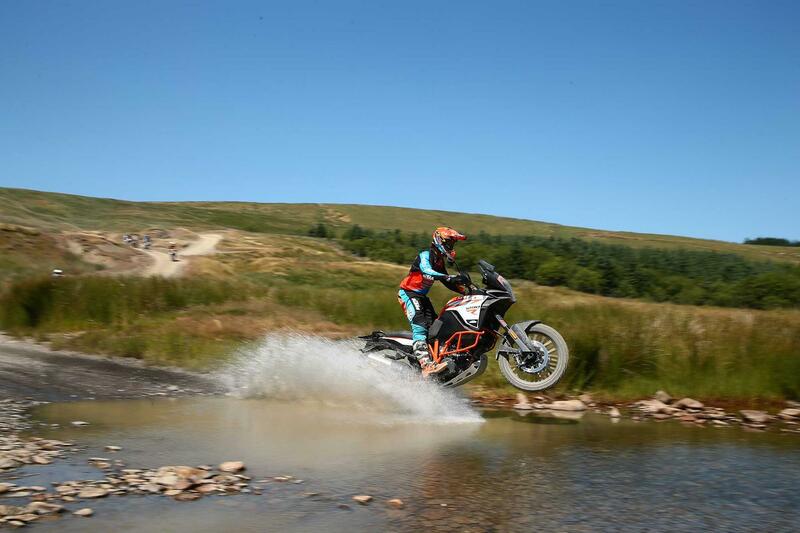 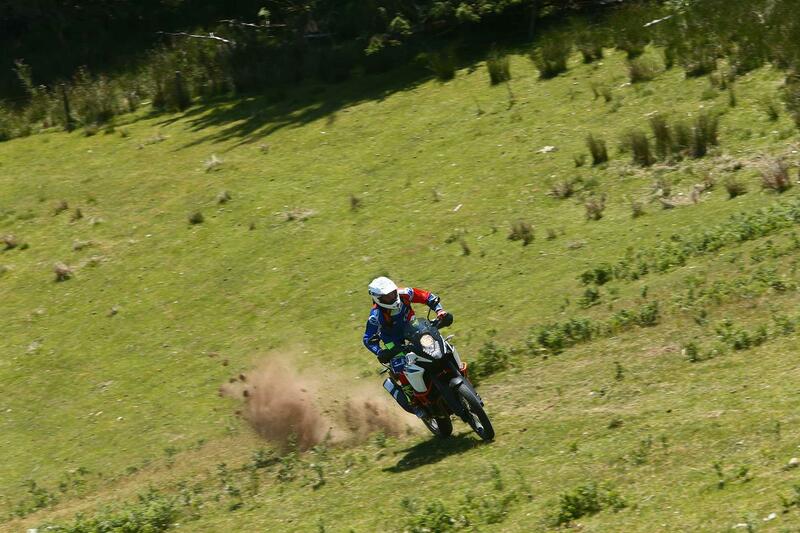 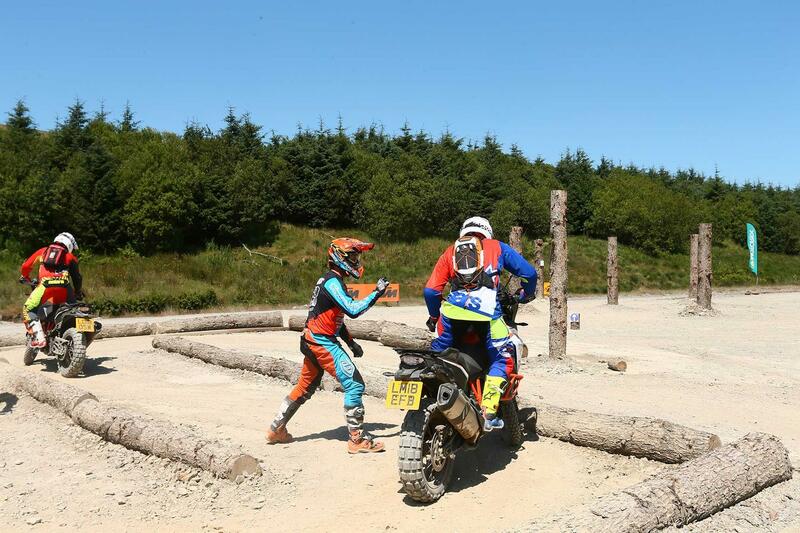 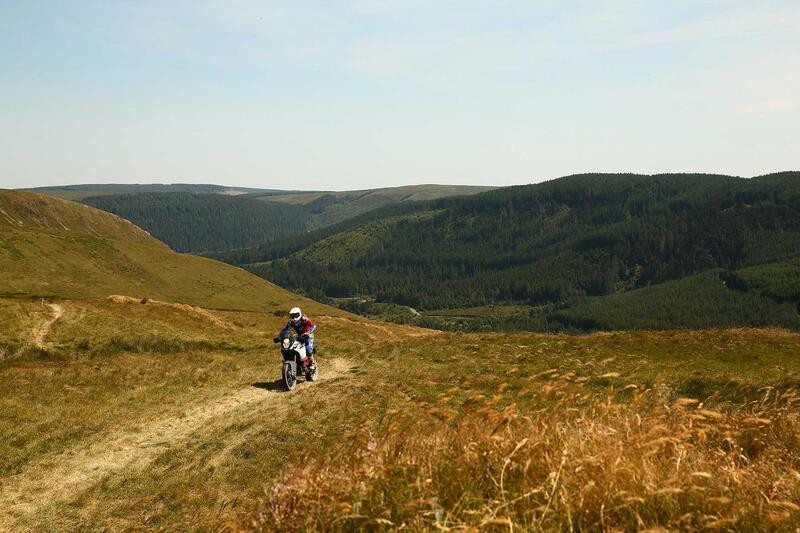 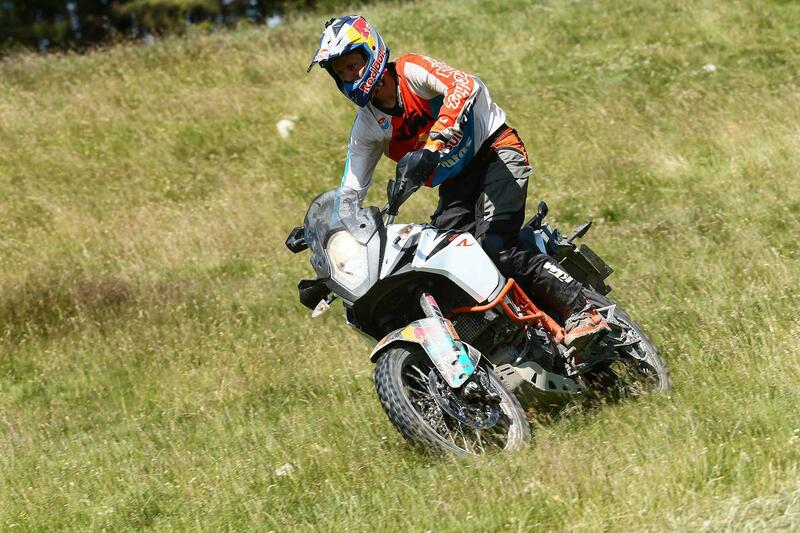 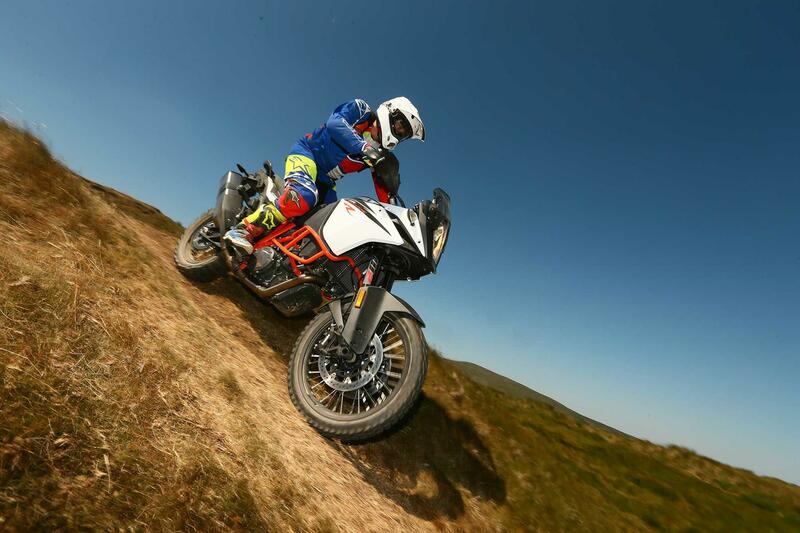 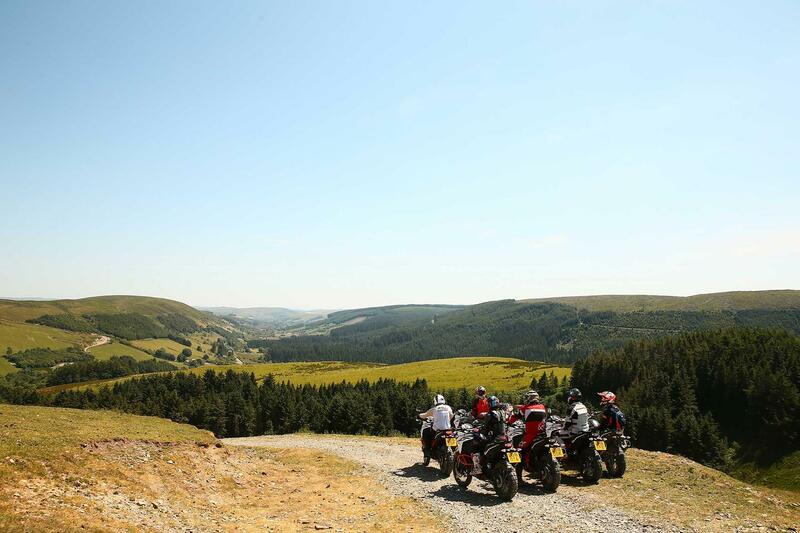 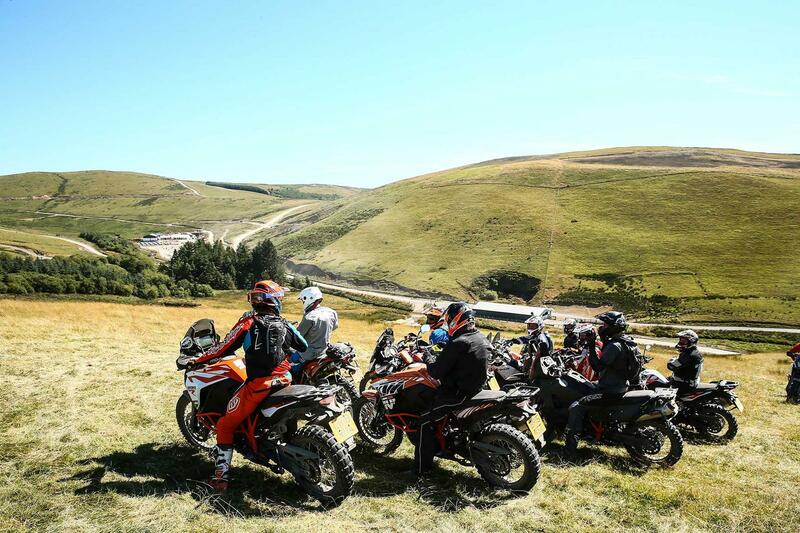 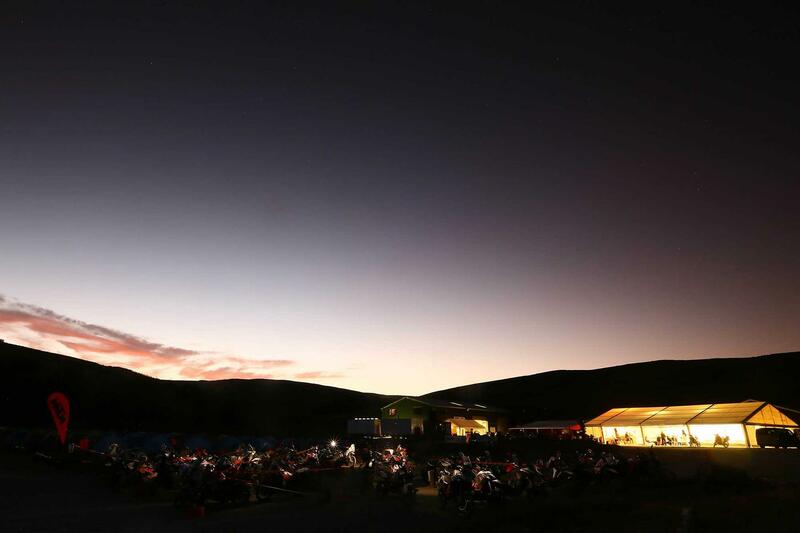 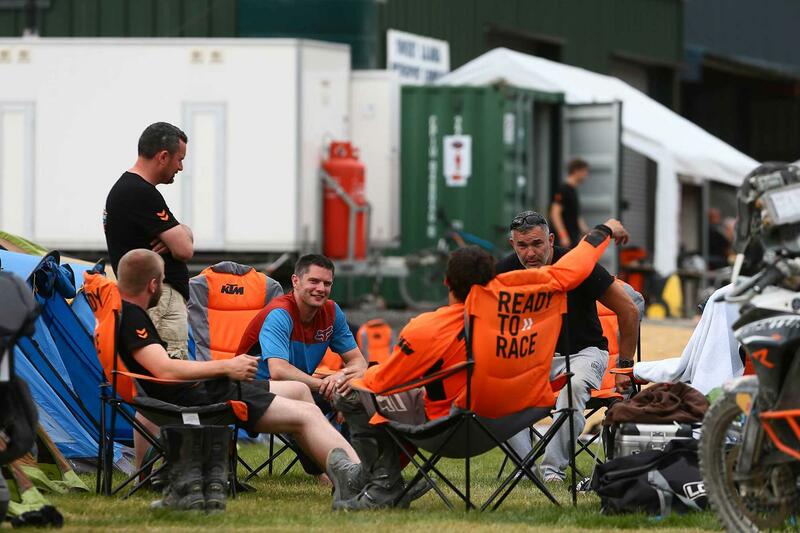 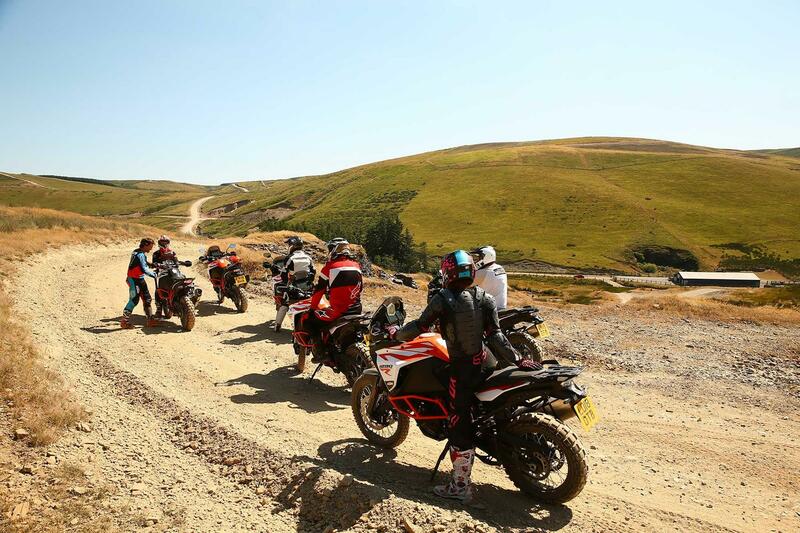 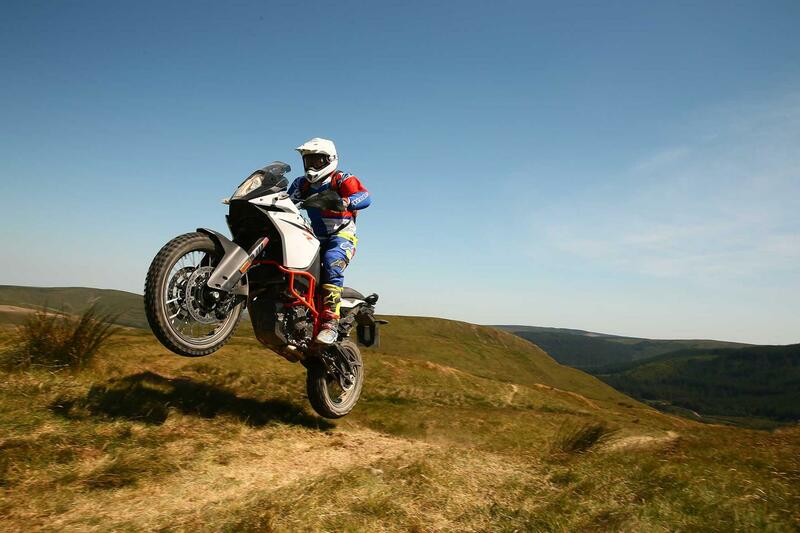 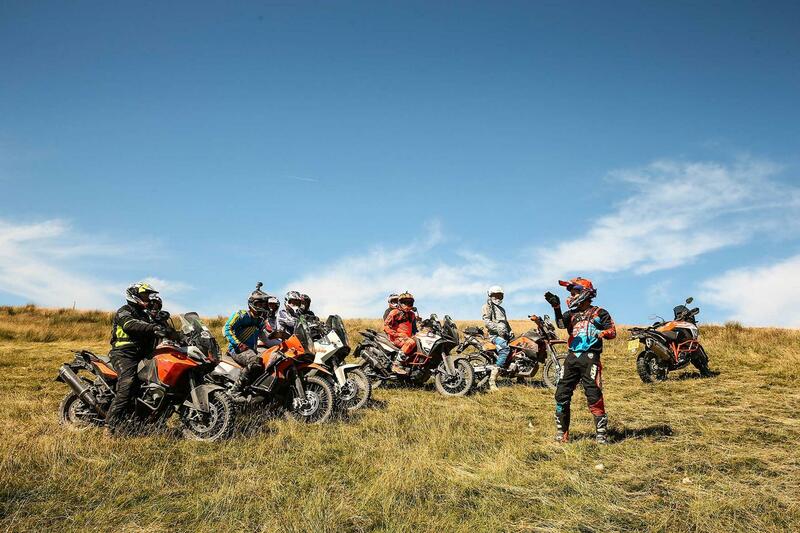 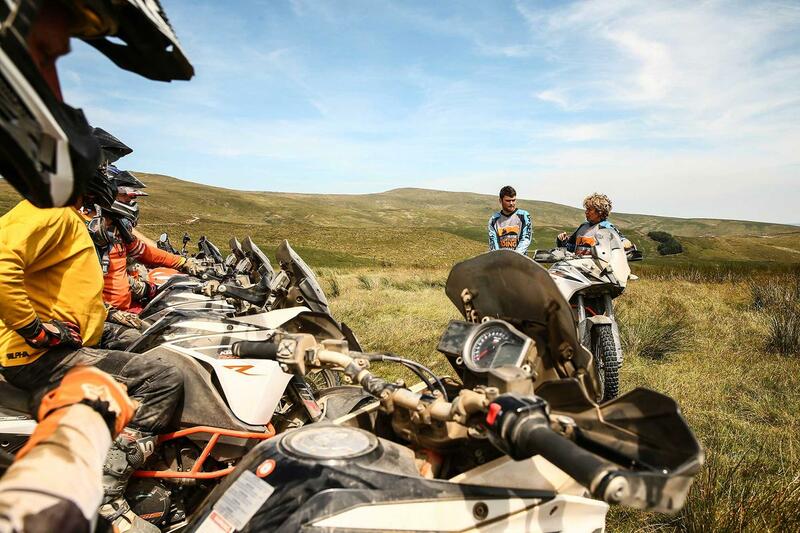 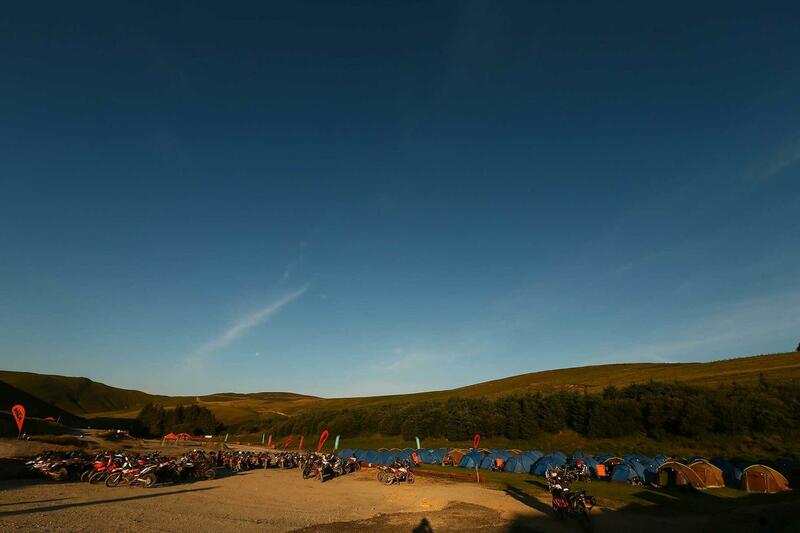 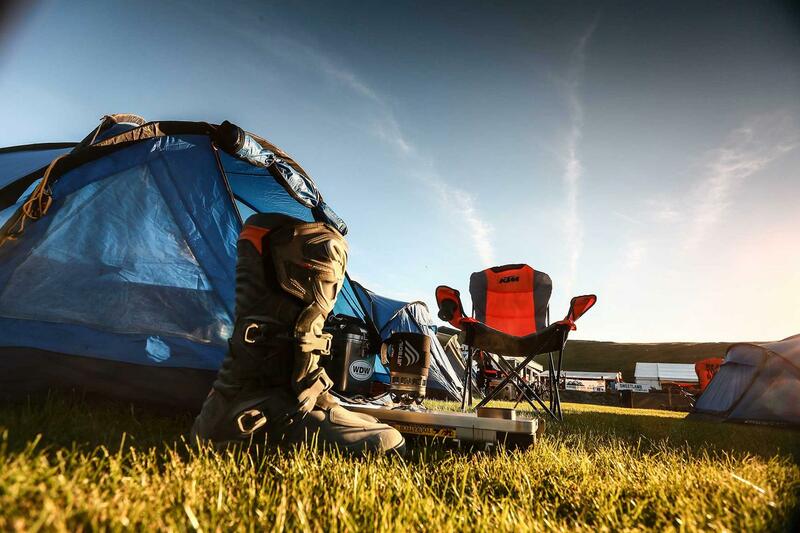 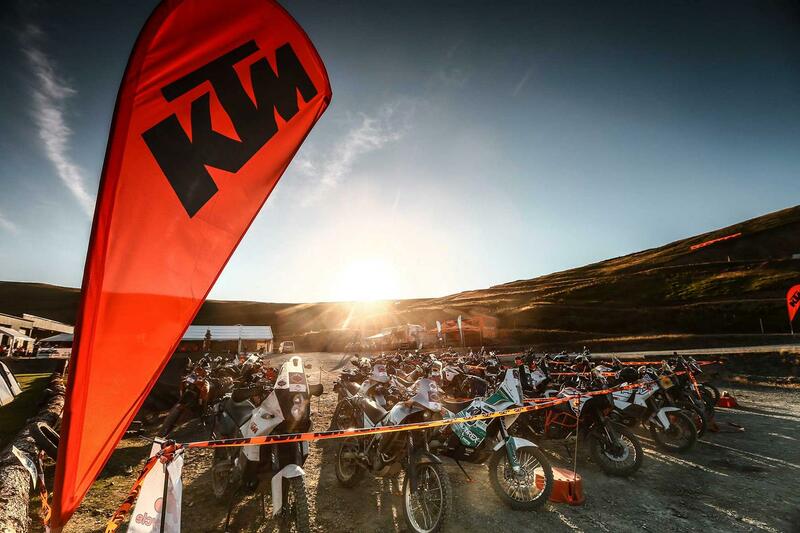 MCN Senior Road Tester, Adam Child, recently took a trip to KTM’s Adventure Rally held at the amazing Sweet Lamb Complex in Wales to get some off-road training from KTM riders Chris Birch and Paul Bolton. 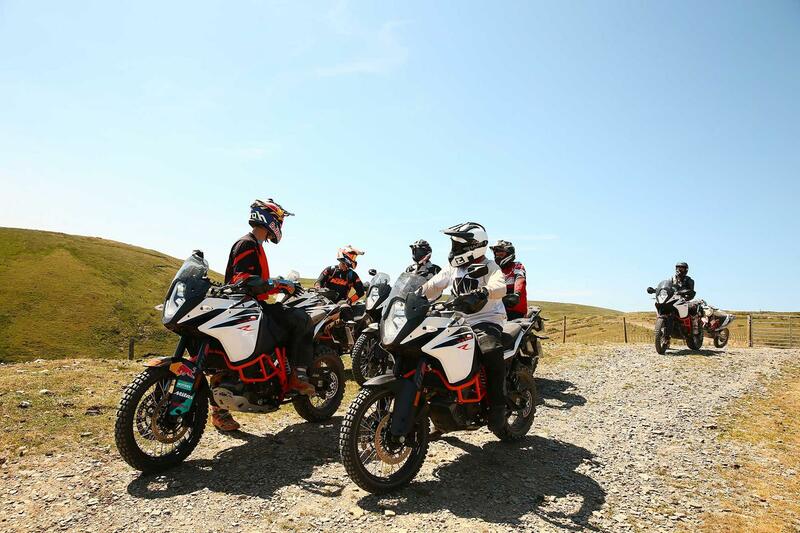 During our trip we were able to reacquaint ourselves with KTM’s Adventure R range, as well as receive some expert tuition. 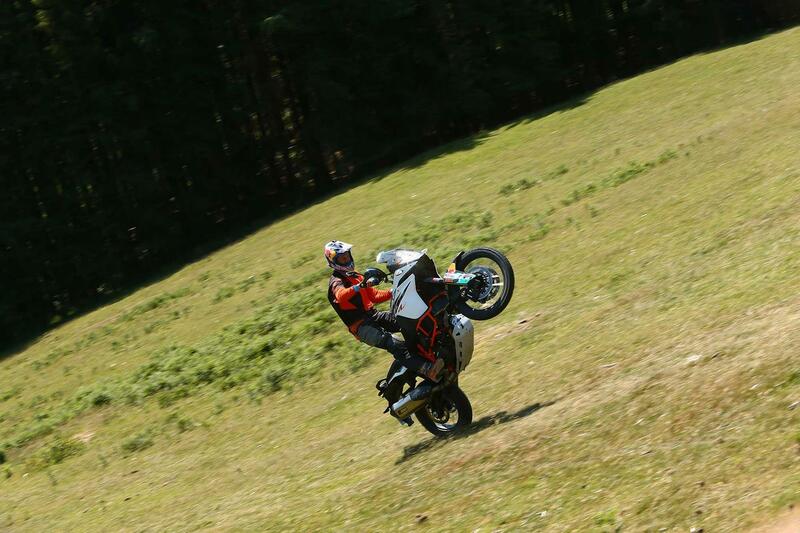 As well as demonstrating some of the basics, Chris also impressed us with his skills (wheelies up hills and stuff like that). 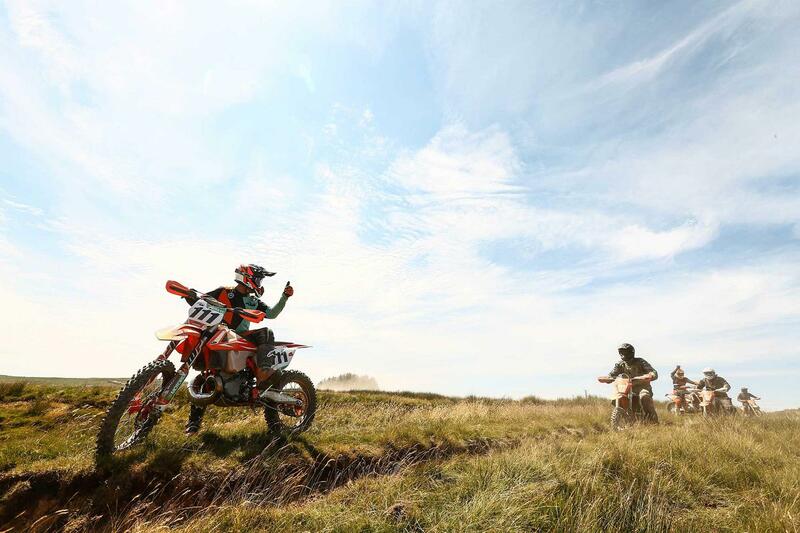 It was a huge privilege to gain the experience from such a talented rider, check out our gallery above – yes it was as much fun as it looks.